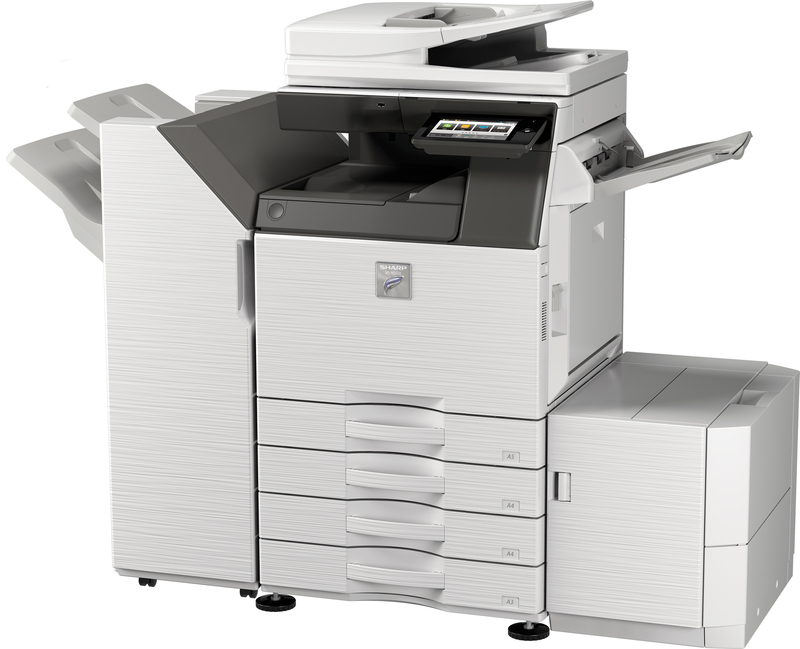 Sharp has released a new entry-level, low-volume A3 monochrome document system. With speeds at 26 pages per minute the MX-M2630 isn’t the fastest copier on the planet, but it gets the job done in small workgroups. With great print quality and a simple, customizable interface the B-Sphinx is sure to meet your printing, copying, and scanning needs. This machine is the little brother to the MX-M3050, MX-M3550, and MX-M4050. Most options and accessories for the MX-M2630 are different paper feed and finisher options. The standard paper capacity is 650 sheets, but you can add options to have up to 6,300 sheets online. Visit our quote request page and fill out the easy to use form. IF you’re interested in the MX-M2630 just let us know in the notes area of the form. We will provide pricing to you quickly without a pushy sales process.